The classic Beach Slide has been revamped with an exciting 3D graphic prints. I've worn them to the beach and out to dinner, wherever I go these get compliments! I got my daughter and I the matching rainbow slides and they’re SO cute! They’re a heavier slide, which I love and so comfortable. These Slides are the sooo comfortable! 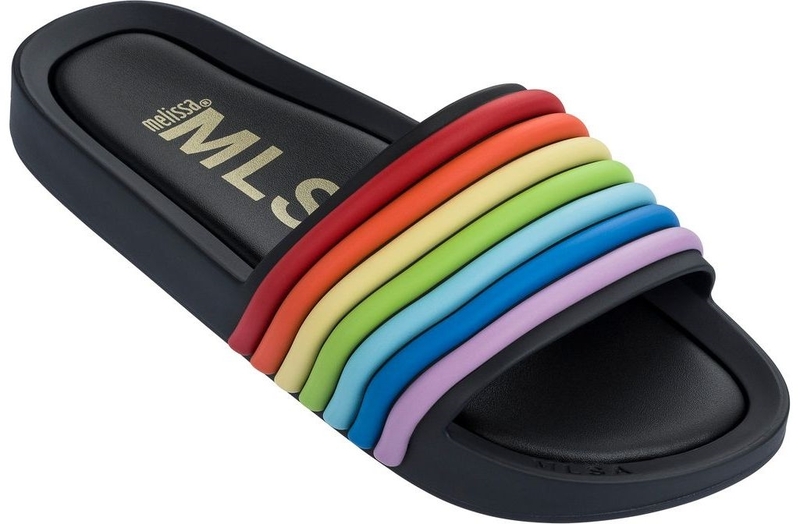 I Love these rainbow beach slides. These are now my 4th pair in different designs. The comfort and feel are great! They look great for a day at the beach or hanging out at home!